Not only do you get an amazing 8-bit bestiary with over 15 iconic 8-bit monsters, you get 11 mini-adventures in classic 8-bit worlds where these creatures play major roles! Take on the role of your favorite 8-bit hero and jump, hop, and climb your way through the various levels to do what else... rescue the Princess of course! Check out Fungal Kingdoms and find: Amazing monsters from the 8-bit ages such as Cloud Turtle, Hammer Turtle, Spikey!, The Windup Bomb, the twisted Barracuda Bush, and many more! 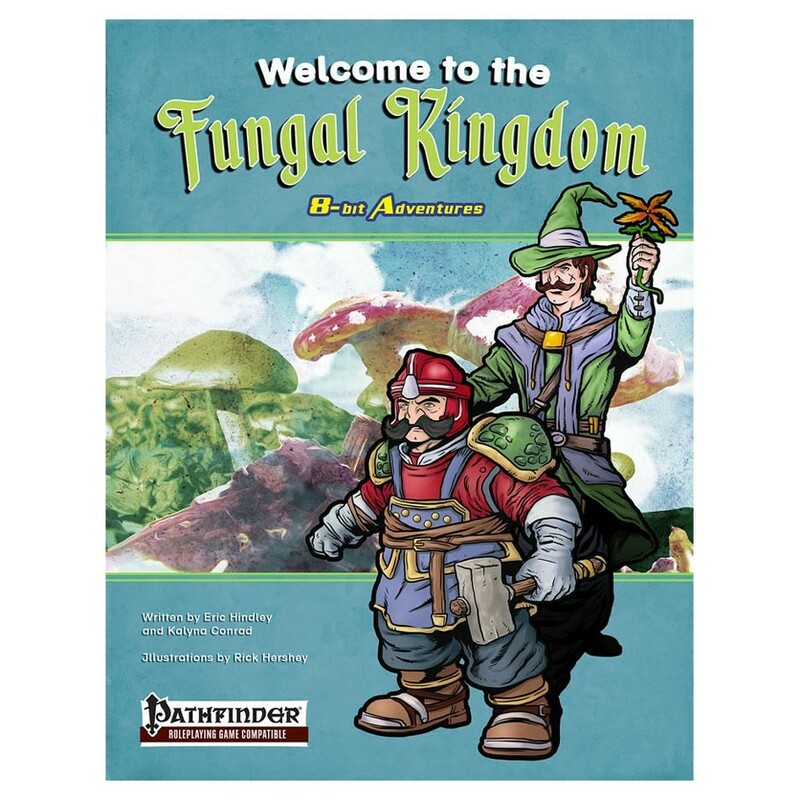 11 Fantastic adventures from the mind that brought you Fat Goblin Games Campaign Kits. Check out the Castle Hopping Princess or perhaps take your chances in the Ice Pass! Magic Items that bring back the memories! Invulnerability Stars, Fire Hammers, and other old time favorites!